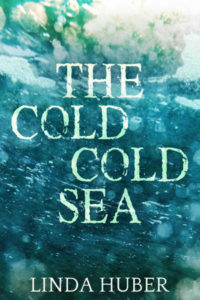 Welcome to my stop on the blog tour for The Cold Cold Sea by Linda Huber. This book sounds so good and I wish I could have fitted in a read of it but I do have a fab extract to share with you today. My thanks to Kelly Lacey from Love Books Group Tours for the place on the tour. Further along the coast, another mother is having problems too. Jennifer’s daughter Hailey is starting school, and it should be such a happy time, but the child is increasingly moody and silent. Family life has never seemed so awkward, and Jennifer struggles to maintain control. Maggie stood in the doorway and stared into Olivia’s bedroom. It was tiny, like all the rooms in the cottage, but this one was still. Toys, games… everything in here had been motionless for a week now. Baby dolls vied with Barbies on the shelf, an assortment of soft toys lay strewn across the bed, and Olivia’s darling Old Bear was sitting on a wooden chair by the window. Maggie could hear the sea battering against the cliffs. High tide. The beach would be covered in water now; surging, white-tipped waves beneath a flawless blue sky. How beautiful Cornwall was, and how lucky they were to have a holiday cottage here. That’s what they’d thought until last week, anyway. If this had been a normal day they’d have been picnicking on the clifftop, or shopping in Newquay. Or just relaxing around the cottage, laughing and squabbling and eating too much. All the usual holiday stuff. But nothing was normal anymore, and Maggie knew that tomorrow was going to be the worst day yet. The twenty-third of August. Olivia’s birthday. Right now, Maggie and her daughter should have been making the cake Olivia had planned so happily, the raspberry jam sponge with pink icing and four pink and white candles. No need for any of that now. Maggie stepped into the room, grabbed the pillow from the bed and buried her face in it, inhaling deeply, searching for one final whiff of Olivia, one last particle of her child. But the only smells left were those of an unused room: stale air, and dust. ‘Livvy, come back to me, baby,’ she whispered, replacing the pillow and cradling Old Bear instead, tears burning in her eyes as she remembered holding Olivia like this, when Joe had whacked her with a plastic golf club on the second day of their holiday. She’d had two children then. She hadn’t known how lucky she was. ‘I didn’t mean it, I didn’t.’ Her voice cracked, and she fell forwards, her kneecaps thudding painfully on the wooden floor. How could she live on, in a world without Olivia? She had barely spoken aloud all week, and the words came out in an unrecognisable high-pitched whimper. Bent over Old Bear on the floor, Maggie began to weep. Her voice echoed round the empty cottage as she rocked back and forth, crying out her distress. But no-one was there to hear. Linda Huber grew up in Glasgow, Scotland, but went to work in Switzerland for a year aged twenty-two, and has lived there ever since. 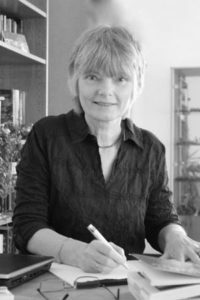 Her day jobs have included working as a physiotherapist in hospitals and schools for handicapped children, and teaching English in a medieval castle. Currently she teaches one day a week, and writes psychological suspense novels and feel-good novellas with (most of) the rest of her time. Her writing career began in the nineties, when she had over fifty short stories published in women’s magazines. Several years later, she turned to psychological suspense fiction, and her seventh novel, Death Wish, was published by Bloodhound Books in August 2017. Linda’s latest project is a series of feel-good novellas, set on the banks of Lake Constance and just minutes from her home in north-east Switzerland. She really appreciates having the views enjoyed by her characters right on her own doorstep! Thank you so much for a lovely blog post!